Business and homes throughout the Salt Lake City area are always looking for better ways to help protect their properties. Security systems are always a great way to address numerous issues, however, there are other solutions that can drastically improve safety. With affordability and effectiveness in mind, homeowners and business owners are always looking for better safety measures. C-Bond technology can enhance security film and existing glass windows or glass. C-Bond technology delivers an innovative solution that actually enhances the strength and performance of existing glass windows as well as window film. When used as a priming agent for security film, your windows are drastically strengthened and optimized. 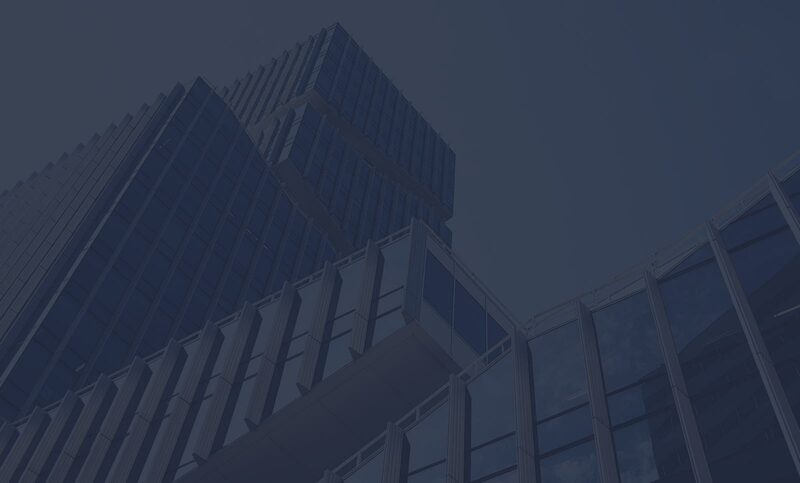 Security film and C-Bond technology are made for each other, providing the best security solutions for both residential and commercial properties. C-Bond is a glass strengthening agent which helps promote better durability and resistance against numerous high impact events. Defend your property from break-ins, burglaries, natural disasters, and more. C-Bond actually makes bomb blast and ballistic resistance possible– when combined with multiple layers of security film and an attachment system, businesses can achieve a higher level of security. C-Bond for Salt Lake City Properties from Salt Lake City Window Tinting on Vimeo. Salt Lake Window Tinting is honored to be the leading source for C-Bond technology in the Salt Lake City area. We understand how effective C-Bond is and the way it enhances any window film project. We always use C-Bond in every security project as well as all other window film installations due to quicker cure times, better product adhesion, and optimized performance. Ensure your investment is backed with the unparalleled strength of C-Bond. For more information regarding C-Bond technology for your Salt Lake City security project, please contact us! The job of a hotel manager involves many tasks. But at the end of the day, what it really comes down to is being to create an enjoyable experience for your guests. When your guests are unhappy, your reputation suffers and your hotel loses out on profits. When guests are satisfied, you get more business from return visits and referrals. However, this is all easier said than done. Fortunately, we have a solution that may make your day to day tasks a little bit easier. It’s called Huper Optik Window Film. By upgrading your Salt Lake City hotel with window film, you can provide your guests with a more enjoyable experience. Spring is around the corner here in Salt Lake City and things like spring cleaning and home improvement projects are right on its tail. With just enough time to make the decisions as to which improvements should be done and which ones can wait, we, at Salt Lake Window Tinting, would like to throw a fantastic contender into the ring–having window film installed on your Salt Lake City home. Not only is it super affordable, it also is a simple way to make your home a better place to live! CoolVu Transitional Window Films can block 50% of the solar heat gain you get on your windows from Salt Lake’s high altitude sun. This will keep your home significantly cooler this summer while at the same time saving your money! Sun exposure, even through windows could be a leading factor for causing skin cancer and vision problems. So much so, window films are recommended by both the American Skin Cancer Association & dermatologists alike. CoolVu window film is as effective as SPF 1000 UV protection. Meaning, your home is a healthier place to live! CoolVu Transitional Window Films are specially engineered to provide privacy by reflecting visible light outward when hit by direct sunlight. However, CoolVu films, also transition in color to adjust to high or low sun–meaning more window clarity than any other film for you and your family–day or night. CoolVu Transitional Window Film filters the sun thereby blocking out 99.9% of the sun’s most corrosive UV rays like UVA and UVB. But still lets in plenty of innocuous natural light. Not only does this make your home’s lighting more beautiful and glare-free but it also prolongs the life of your furnishings, paintings, wall coverings, and wood floors and keeps them free of fading. 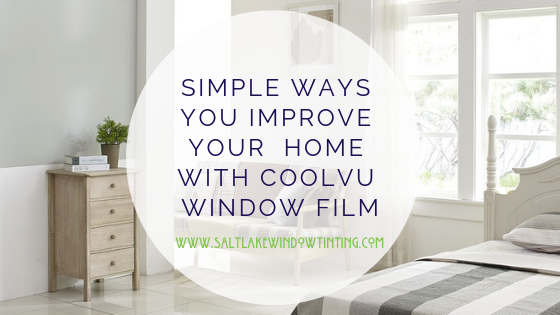 For more information on CoolVu window film for your Salt Lake City home or business, contact us at Salt Lake Window Tinting to schedule a free, on-site consultation. Salt Lake Window Tinting has been providing Salt Lake City and the surrounding with professional window tinting services. Salt Lake Window Tinting is proud share news on the “Best in the West” award we recently received from the Llumar SelectPro for being the best window film contractor. As the Western Vista Dealer of the year. We are humbled to be recognized by the community as one of the leaders in our industry. We are very proud of our recent achievements along with our dedicated hard working team and all of our wonderful clients.